Step into a warm, comfortable cabin for 1 to 4 guests when you book Endless Love. 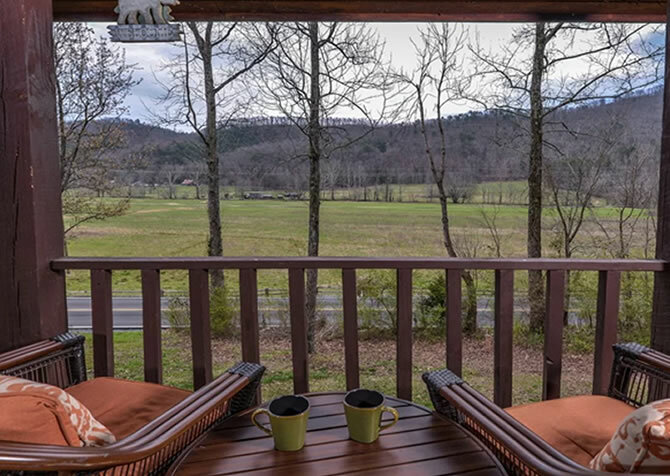 This 1-bedroom +loft, 1-bath cabin—conveniently located less than 10 miles from downtown Pigeon Forge—features the perfect list of amenities for a couples’ getaway, a small family vacation, or a romantic retreat with the one you love. 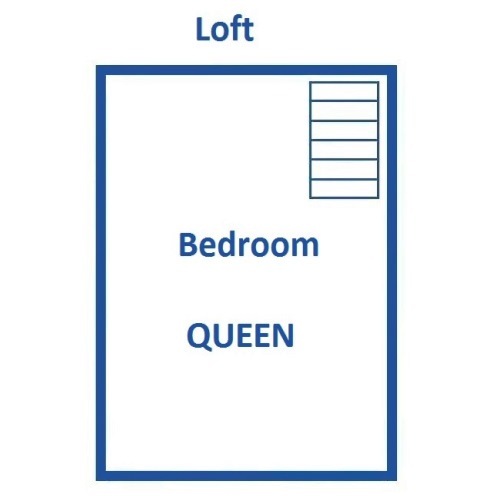 Besides the single bedroom, you’ll also find a well-equipped loft inside Endless Love that comes with a queen-size bed and an indoor jetted tub. 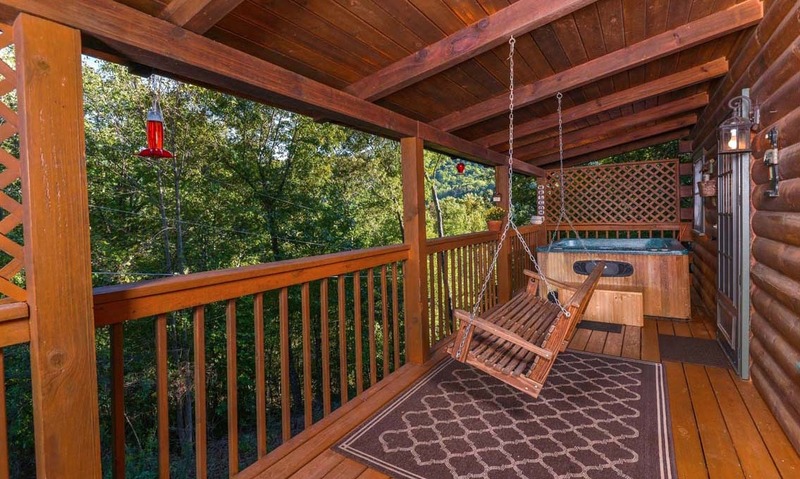 Outside, Endless Love features beautiful wooded/valley views, a covered porch with an outdoor hot tub and porch swing, and a charcoal grill. Inside, the warm, all-log interior provides comfortable living accommodations that includes a wood-burning fireplace and family-friendly board games. 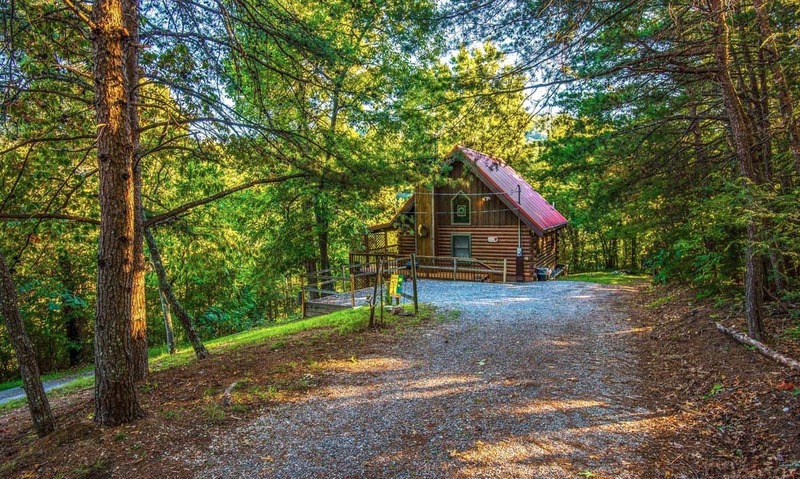 Book this convenient and comfortable cabin today for your next getaway to Pigeon Forge! 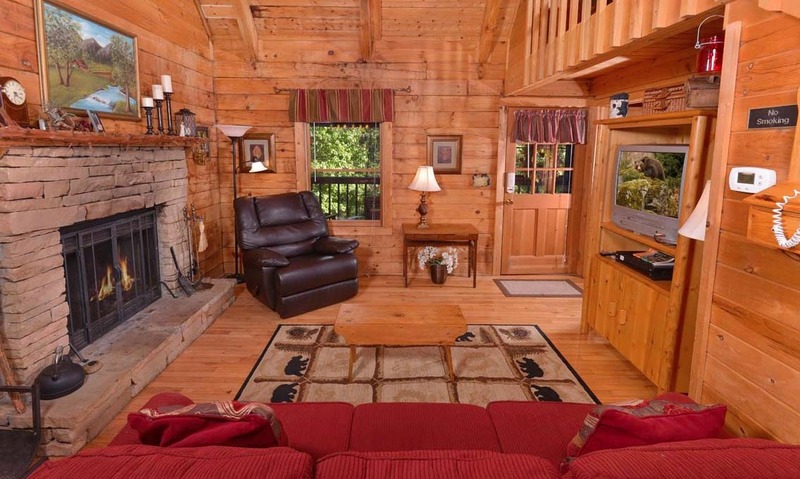 A cozy, relaxing living space is exactly what you’ll crave after hours of fun in downtown Pigeon Forge. 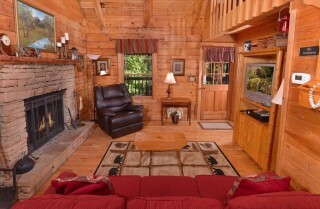 You can spend the day with the family at the premier theme park of the South, Dollywood. 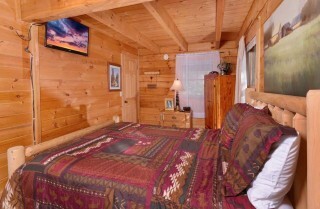 Or you can plan for a fun date night at Dolly Parton’s famous dinner show known as the Dolly Parton's Stampede. 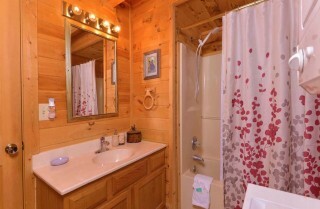 Either way, you’ll love returning to your home away from home at Endless Love. The living room inside this 1-bedroom cabin comes with a comfortable red couch big enough for 3, a coffee table that’s perfect for snacks or games, a TV with a DVD payer, a padded rocker, a small writing desk, and a beautiful wood-burning stove. 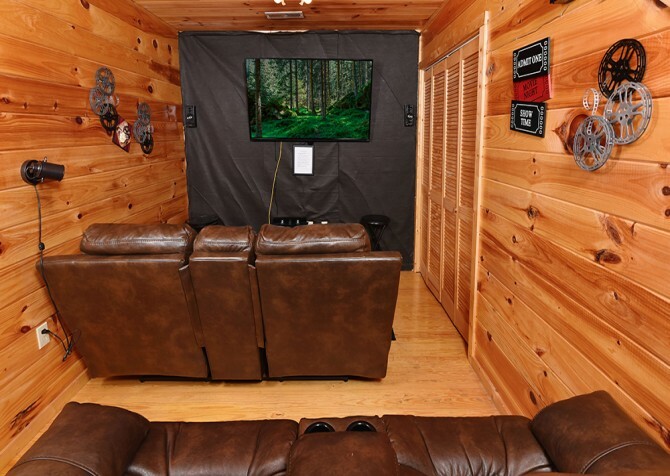 Plan to relax with the family as you watch a favorite movie or set aside some time for a game night with the kids. If you’re looking for ways to relax, simply curl up on the couch with a favorite book or sip on a glass of wine while enjoying a favorite TV show with the one you love. Endless Love provides endless ways for relaxation and fun during your Pigeon Forge stay! 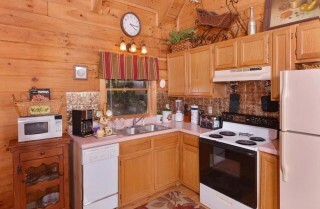 To make your stay at Endless Love even more convenient, this cabin provides you with a fully-equipped kitchen you are invited to use during your Pigeon Forge stay. Enjoy a full-size refrigerator for storing groceries or leftovers, an oven, an electric stove, a dishwasher, and a microwave. Endless Love also provides you with all the small appliances and equipment you’ll need like a coffeemaker, knife set, dishes, cookware, and utensils. So plan for breakfast in bed or an affordable pancake feast with the family. Also, if your stay at Endless Love is meant to be a romantic getaway, be sure to check out our gourmet gift items like a Romantic Dinner for Two delivered right to your door. Your full-size kitchen in Endless Love makes it convenient to grill steaks and mix up salad right inside your cabin, and you’ll have the intimate experience of a steakhouse dinner without fighting Pigeon Forge traffic or waiting for a table! 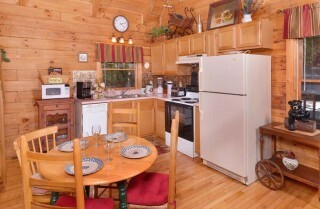 The cozy dining table inside Endless Love is conveniently located beside the kitchen. 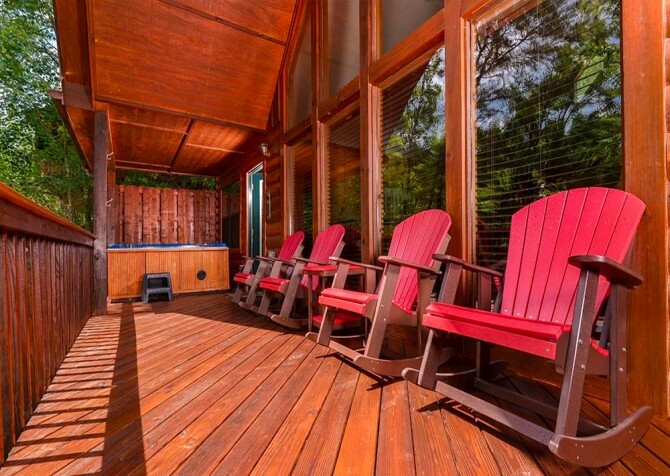 Enjoy a round, wooden table with chairs for 3 in this space. 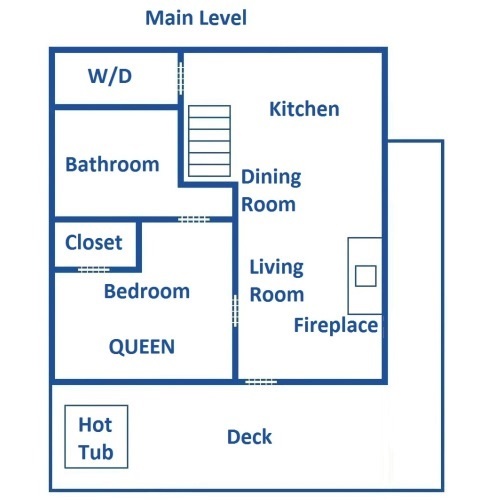 And if you need more seating, simply take advantage of the open-concept design of Endless Love and eat in the living room without missing a beat. 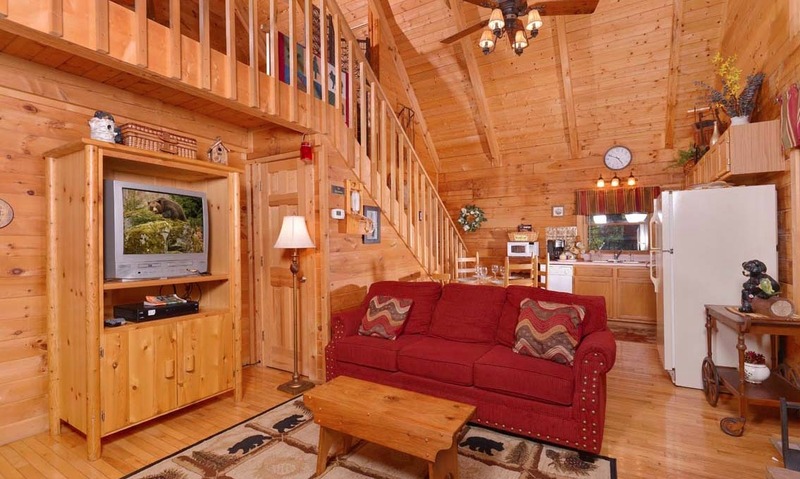 This cabin’s dining table provides enough room to enjoy your homemade meals in the privacy and cozy interior of your Pigeon Forge cabin. 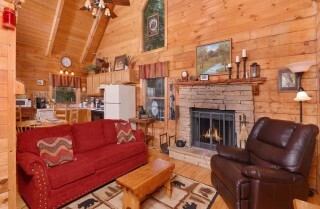 You can also use this table to spread out board games that are supplied within this cabin. 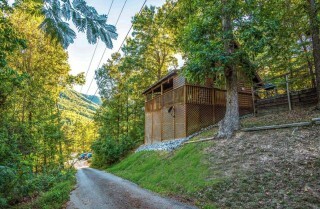 A family game night at Endless Love is a great way to reconnect with your spouse and your kids and make Pigeon Forge memories without breaking the bank! 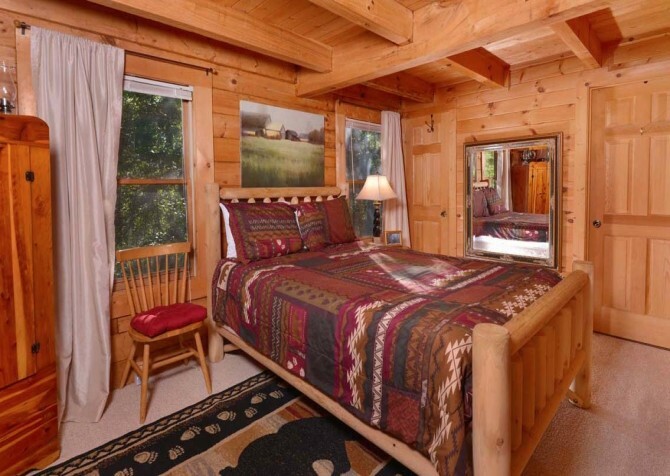 The bedroom of Endless Love is a beautifully decorated space boasting a queen-size bed, log-style furniture, multiple windows, carpeted floors, and homey accessories. 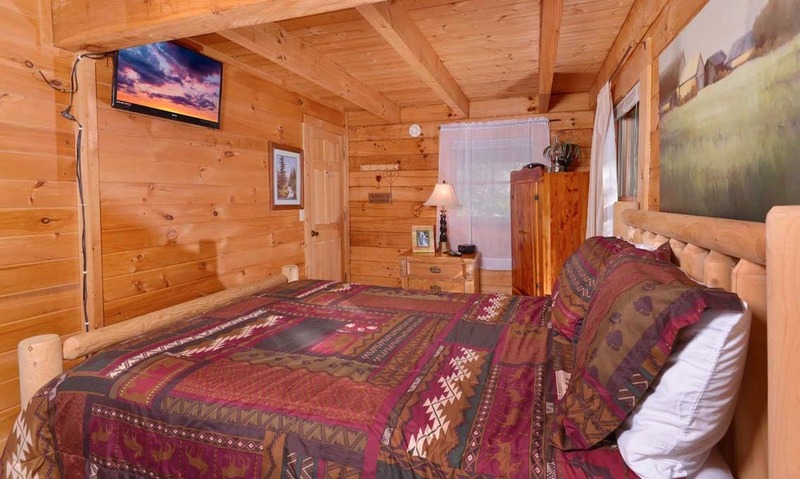 Reading lamps, fans, wardrobes, and a mounted TV provide you with all the conveniences of home while the Smoky Mountain décor reminds you to relax and have a great time during your stay. 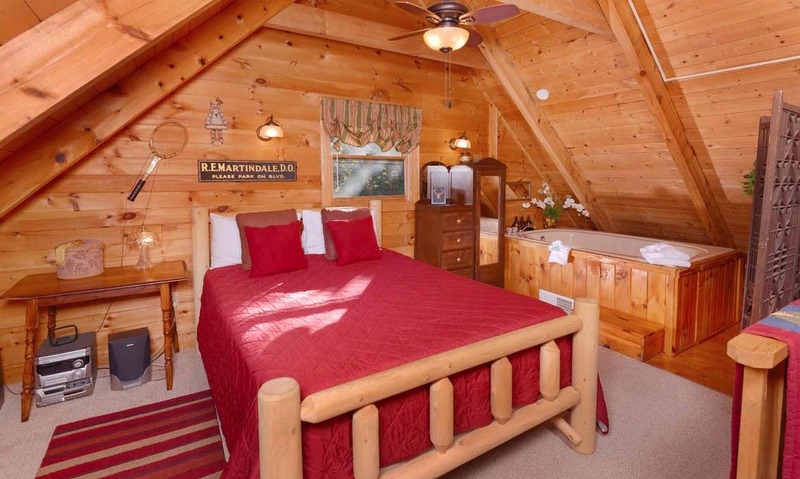 Besides this bedroom, you’ll also find a queen-size bed in the loft of Endless Love. 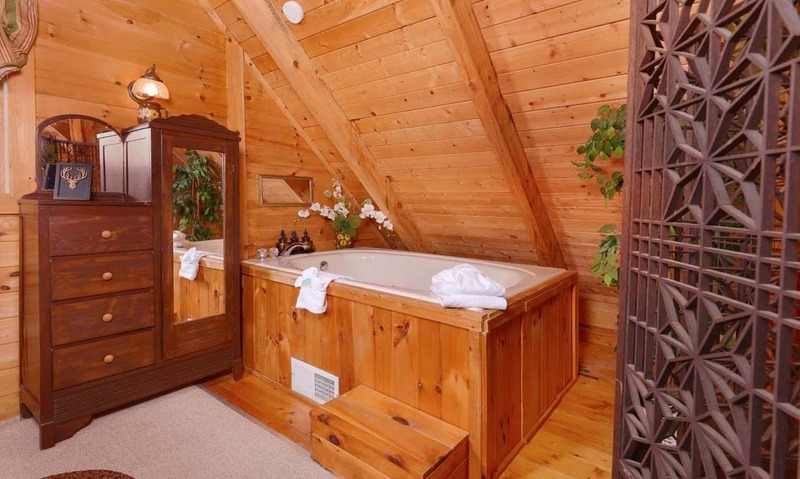 This room features log-style furniture, a small window, and convenient furnishings—the best of which is an indoor jetted tub! Be sure to take advantage of this favorite cabin accessory on days when your legs are sore from hiking in the Great Smoky Mountains National Park or evenings when you’re looking for the perfect way to unwind. No matter what time of year you visit Pigeon Forge, you’ll always be able to enjoy the outdoor spaces of Endless Love. 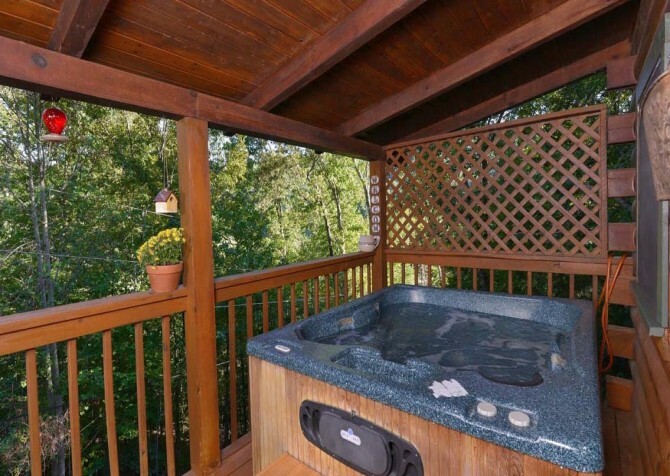 That’s because this cabin comes with a covered outdoor hot tub, where you can soak away your stress—snow, rain, or shine! 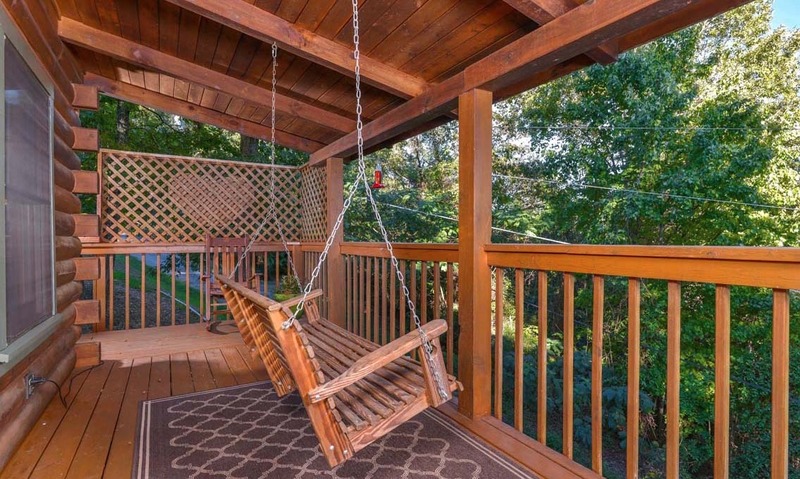 You’ll also love the beautiful views of the woods from the porch swing on the covered deck. Relax on the swing or enjoy some quiet time during those cool mountain mornings from your covered porch. 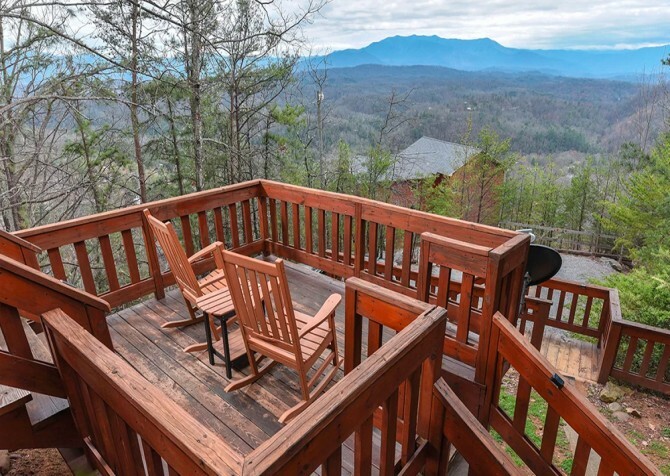 Bring a good book and your favorite flavor of Smoky Mountain wine, and you’re sure to find ways to enjoy this convenient space. You can even plan for a family barbecue night using the charcoal grill that comes with Endless Love. No matter the season, you’ll find plenty of ways to enjoy the great outdoors at this Pigeon Forge cabin! 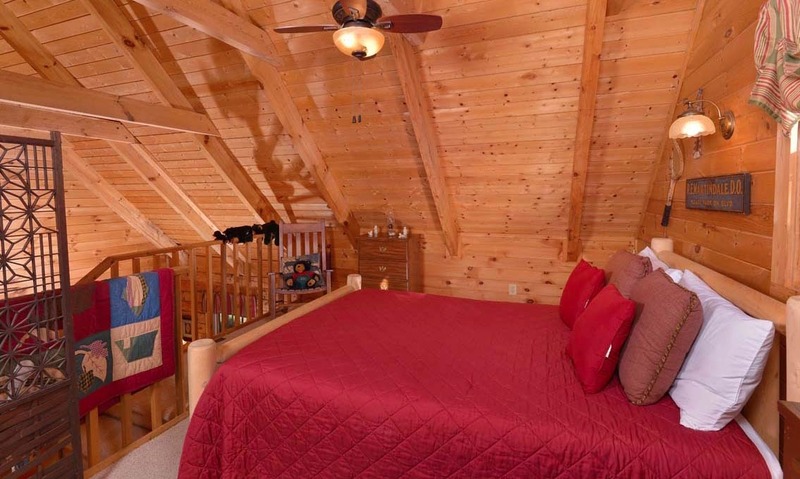 To make you feel right at home in this Pigeon Forge cabin, you’ll have access to convenient amenities like a washer and dryer, an iron and ironing board, a telephone, board games, a DVD and CD player, and a TV in your bedroom. We want your stay at Endless Love to provide all the comforts you’re used to with a few bonus accessories that are sure to add excitement to your stay! If you have more questions about what’s provided in your Pigeon Forge cabin when you book your stay with Cabins For You, be sure to check out our FAQs page, where we’ve answered your questions about linens, toiletries, charcoal, and more. Check out the longest downhill ride in the U.S. at the Smoky Mountain Alpine Coaster in Pigeon Forge. With over a mile of track taking you through the Smoky Mountains, this ride is perfect for families and couples looking to see the sights at your own speed. Step into a real-life magical adventure at MagiQuest! This Pigeon Forge attraction features laser tag, an 18-hole mini golf course, a magic mirror maze, and more. Bring the family or even your spouse for some magical fun at this family-friendly attraction. A popular dinner show for families and couples, the Lumberjack Feud features good food and a great time with performing dogs, outdoor competitions, and log-rolling lumberjacks! Bring your group for a dinner experience you’ll only find in Pigeon Forge. "We stayed in Endless Love in Pigeon Forge. We were absolutely surprised by how clean, fully-stocked and enjoyable our stay in the cabin was. They thought of everything! I wish we could have stayed longer than a weekend. It was close to town. 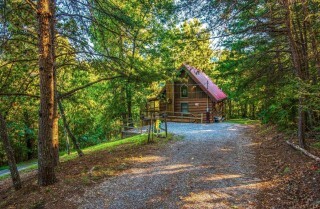 but was very secluded and quiet."